Looking for an elegant outdoor venue for your event? Look no further. Southern charm, class and elegance from a bygone era. If you are looking for a distinctive and elegant venue for your wedding, party, family reunion or corporate event, consider the stately grounds of the Burt-Stark Mansion. Our gracious lawn is a frequent favorite setting for weddings, wedding receptions, reunions, and even concerts. If the weather is a little on the warm or cool side, you may want to rent a tent for your event. We have fantastic relationships with top-notch local rental firms, and they can help meet your needs. Should you require power, we can safely and conveniently supply electricity to nearly any space on our grounds. Look at our calendar on our website to make sure your date isn’t already booked. 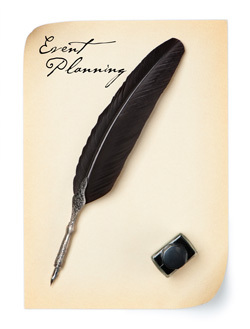 All of our private bookings as well as our public events are included on the calendar. Please note that we haven’t added annual events to the calendar beyond the next year or so. If you are booking more than a year in advance, we will need to speak with you to confirm. Please read the agreement as it answers practically any question you would have about using the Mansion grounds for your event. You can find information about our deposit amount, cancellation policy, liability, and more. Call us at (864) 366-0166 or contact us online to make your reservation. We’ll “pencil you in” and then add it to our calendar once we receive your deposit.